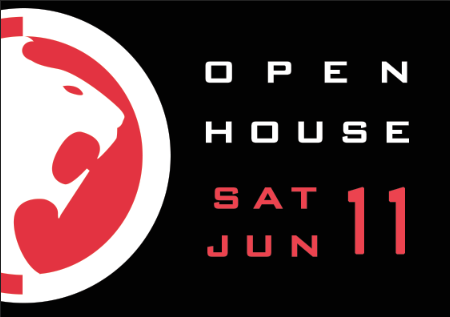 Ground Control Columbia will be hosting an Open House, Saturday, June 11th from 10:30am-6:00pm. We are welcoming everyone to join us for our Open House, we have a full day of fun and fitness set up for people of all ages. We would like to use this as an opportunity to showcase what we as a gym have to offer. Whether you are someone who is solely interested in fitness or looking to compete in high level marital arts, we are the place for you. Throughout the day we will be offering membership sign-up discounts, as well as prizes, and gifts at the door. We will also be host to multiple vendors from the Columbia area who will be looking to promote their business. We have a few seminars and fun fitness classes scheduled for everyone to participate in. From all levels Brazilian Jiu-Jitsu, Muay Thai/Kickboxing, Yoga, Boxing, Bootcamp, and Personal Training; there will surely be something here for you! 9130 Red Branch Road, Suite S.